I DISCOVERED the Food Network at the gym. TV doesn't much interest me and I rarely watch at home, where we have only one television set and no cable subscription. But I got into the habit of watching in the gym once I realized that clicking through the channels on the screen-equipped treadmill helped distract me from the sweaty tedium of exercise. I couldn't watch just anything, though; I needed something other than the news and politics on which I already waste too much time. The reality cooking shows on the Food Network turned out to be just right: more enthralling than the financial speculation on CNBC, less tendentious than the talking heads on CNN, and nowhere near as trashy as the Real Housewives on Bravo. 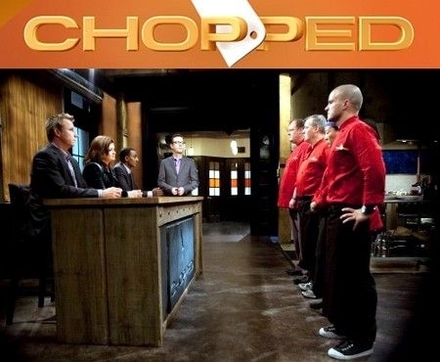 Chefs get 'Chopped.' Why not politicians? So there I was in the gym the other day, shvitzing on the treadmill as I struggled to get to the four-mile mark (no luck), while simultaneously trying to divert myself with "Chopped" or "Kids Baking Championship" or whichever Food Network competition happened to be airing at that moment. When it abruptly occurred to me that the Food Network model isn't just good TV. It's a blueprint for fixing American politics. In fact, if election campaigns were waged on the Food Network, the US political system would be the envy of the civilized world. OK, I'm exaggerating. But only a little. Consider the similarities between a national political race and a Food Network culinary competition. Both play out before the eyes of millions of observers. In both, people who have risen high in their field compete for a prestigious prize and often are confronted with unexpected or awkward challenges. Both involve a roster of contenders being winnowed down until one champion remains. And in both, the outcome turns on the verdict of arbiters — voters in one case, a panel of chefs and restaurateurs in the other — whose decisions are made on the basis of highly subjective criteria. But now consider the differences. Not the obvious differences in the ultimate goal — cooking vs. governing — but the differences in tone, conduct, and expectations. To begin with, politics is relentlessly negative. The more high-profile the race, the more bitter and corrosive it becomes. Candidates raise vast sums of money through fundraising appeals that emphasize their opponents' fault — then spend that money on advertising, polling, and speechwriting designed to cast competing candidates or the opposing party in the ugliest light possible. 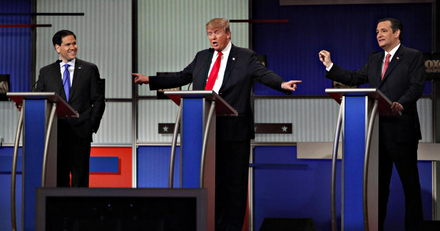 While candidates are great at dishing it out, however, they usually can't bear to take it. Criticize a politician and he responds with thin-skinned indignation and complaints of bias, then quickly changes the subject and attacks someone else. That's not how things work on the Food Network. Like politicians in a debate or candidates on the stump, cooks squaring off on "Chopped" or "Beat Bobby Flay" know that they can only win if they're judged more favorably than their opponents. But they don't bad-mouth the competition or mock the mistakes of the other contestants. Their overwhelming focus is on combining the ingredients they have to work with — ingredients that are often unexpected and bizarre (eyeballs and coagulated pig's blood, anyone?) — into something beautiful and palatable within the time allotted. They aren't above blowing their own horns or gleefully predicting that their dish will wow the judges, but never have I seen even the most aggressive contestants disparaging their opponents' efforts. Nor do they lash out at the judges or complain that the rules are rigged. To my mind, one of the most appealing things about Food Network contestants is that they accept criticism with grace. On a recent episode of "Guy's Grocery Games," the professional chefs competing against each other had to figure out a way to prepare a chicken dinner using dandelion greens, gefilte fish, and canned asparagus. When the judges told Eric Greenspan that his greens were too salty, and faulted Aaron May's asparagus-based gravy as "distinctly underwhelming," both men acknowledged the criticism with a grimace and a rueful nod. Wind, bombast, blame, and empty promises are par for the course when politicians compete. On the Food Network, by contrast, competitors must think on their feet, meet a challenge, and solve it in real time. Contrast that with — to pick from a near-infinite supply of examples — Senator Ted Cruz's contemptuous response when the moderator of a Republican primary debate suggested that his opposition to a debt-limit proposal showed he was not a "problem-solver." Rather than acknowledge the fairness of the question, Cruz lashed out at the moderators and the media, then pivoted to scorn an earlier Democratic debate as a match between "the Bolsheviks and Mensheviks." There's none of that on the Food Network. No filibustering. No blaming others when something goes wrong. No hiding behind vague assurances about a hypothetical "plan." Tune in to politics and you get wind and bombast. Tune in to the Food Network, and you get people thinking on their feet, working up concrete solutions to specific challenges, and proving that they can carry it out on the spot. Politicians deliver a profusion of promises. Food Network participants deliver an appetizer, entrée, and dessert. Spending more time in the gym still hasn't gotten me to four miles on the treadmill, but it has definitely convinced me that the Food Network should be in charge of elections. My fellow Americans, we've been complaining forever that our political system is broken. Well, here's the way to fix it: Run the 2020 presidential race the way the Food Network runs "Chopped."